يشكل فندق Mollymook Paradise Haven Motel بموقعه الممتاز في منطقة شواطئ ضمن مدينة اولادولا، مكاناً ملائماً لقضاء العطلة بعيداً عن عجقة أيام العمل. يمكن من هنا للضيوف الاستمتاع بسهولة الوصول إلى كل ما تقدمه هذه المدينة النابضة بالحياة. سوف يعشق النزلاء موقع هذا الفندق، فهو قريب من أهم المعالم السياحية في المدينة كمثل ‪One Track for All‬, ‪Ulladulla Wildflower Reserve‬, ‪Gondwana Coast Fossil Walk‬ . يعمل Mollymook Paradise Haven Motel على ضمان إقامة مريحة لضيوفه من خلال خدماته الممتازة وحسن ضيافته. يقدم الفندق واي فاي مجاني في جميع الغرف, مرافق مخصصة لذوي الاحتياجات الخاصة, تسجيل وصول/خروج سريع, واي فاي في المناطق العامة, صف السيارات لضمان الراحة القصوى لضيوفه. تتضمن كل غرف النزلاء وسائل الراحة والتسلية المصممة خصيصاً لضمان الراحة القصوى للضيوف. سواء كنت من محبي الرياضة أو كنت تتطلع لتفريغ عناء نهار صعب، ستجد خدمات ذات مستوى عالي بانتظارك كمثل مسار جولف - ضمن 3 كم, حديقة. 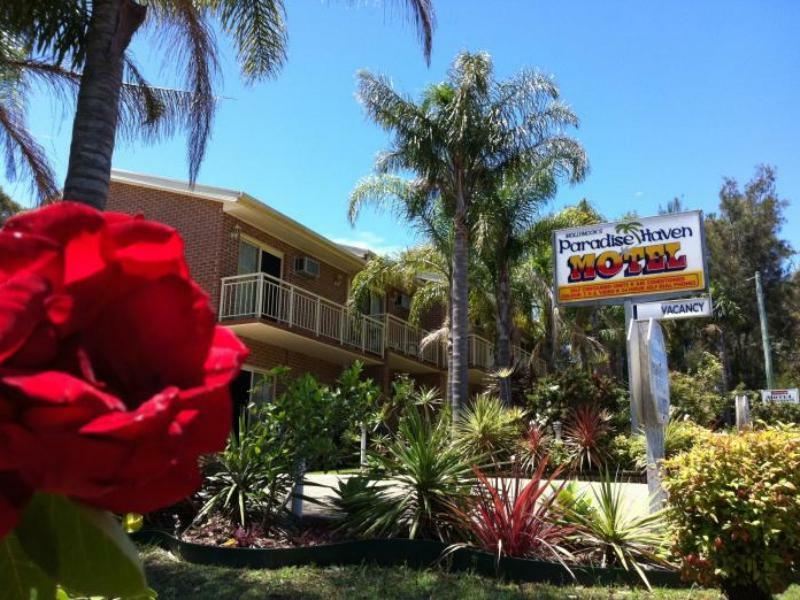 إن Mollymook Paradise Haven Motel هو خيار ذكي بالنسبة للمسافرين إلى اولادولا، بما يوفره من إقامة هادئة ومرحة. Prior to the trip I contacted the property and they told me so many different things very confusing, they weren’t communicating with each other properly and when we got there service not the best and very rude to us the next morning as well also it didn’t stay anything about a grave yard next door. The room is a good size, with enough area for bags & to still move around easily. The kitchen has a 190l fridge/freezer, kettle & microwave, a range of crockery, cutlery & glasses. Tea, coffee (International Roast) & sugar supplied. The TV is maybe 32 or 34 inch. AC/Heater is also in the room. The traffic seems to hit (warp)speed as it passes the hotel, making it fairly noisy; however the neighbours are very quiet, a cemetery is next to the hotel. In a difficult to notice place on the office wall is a list of things they will charge/fine visitors for. I suggest not staying there if you have slightly rowdy kids. We would consider staying there again for a night. Very unhappy. Thick black mould in the showers bed was Rock hard. Is perceived that they want your money but not for you to stay. Eg. If you leave you AC on when your not on your room a fee charge will to your credit card. Also no soap or milk. This hotel was clean and comfortable. Staff were friendly and efficient. Free DVDs to watch. We enjoyed our stay. It was comfortable and convenient. Rooms and bathroom very clean. The only thing missing from the rooms were hotel info and ironing board / iron were not available in the room. 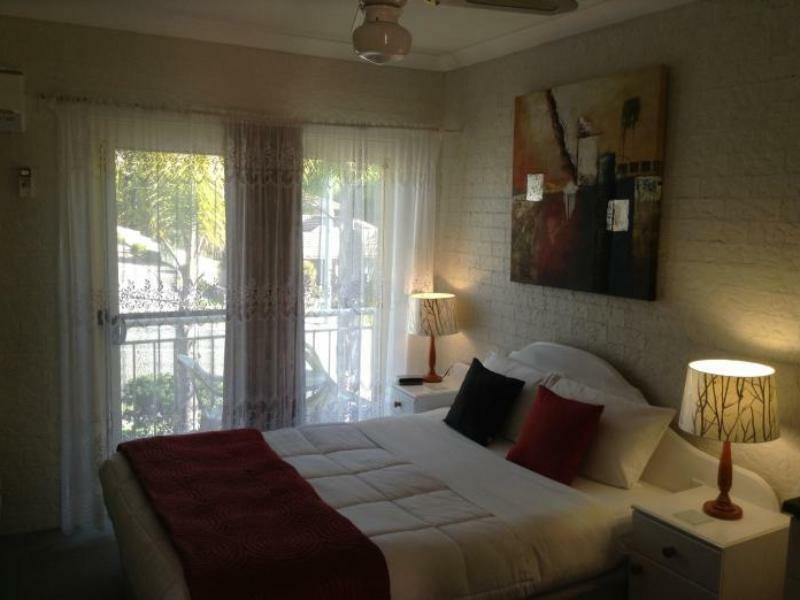 The room was clean and spacious in a quiet area, Only complaint I have is when I looked it up on the internet it looked like it overlooked the ocean, I felt that was false advertising as it was set too far back from the ocean. 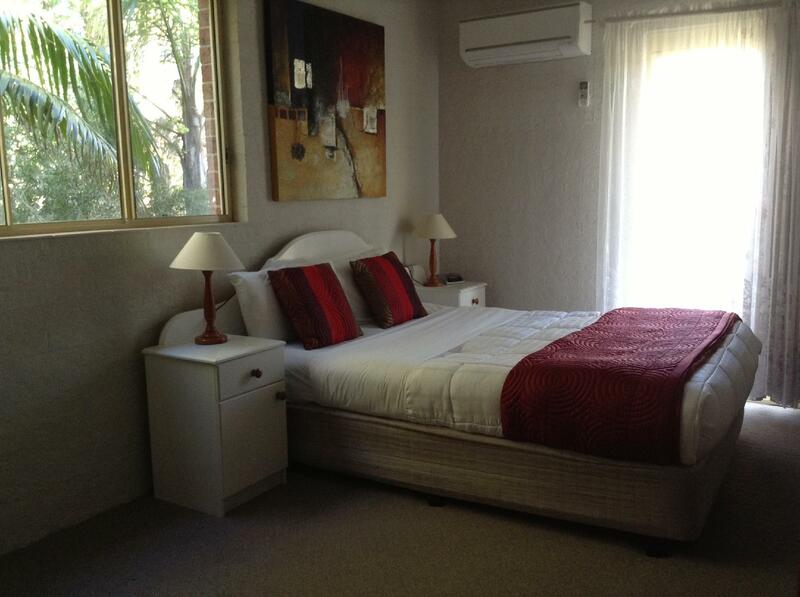 This motel has everything you need for a short or long stay and is only a short walk from the beach and golf course. 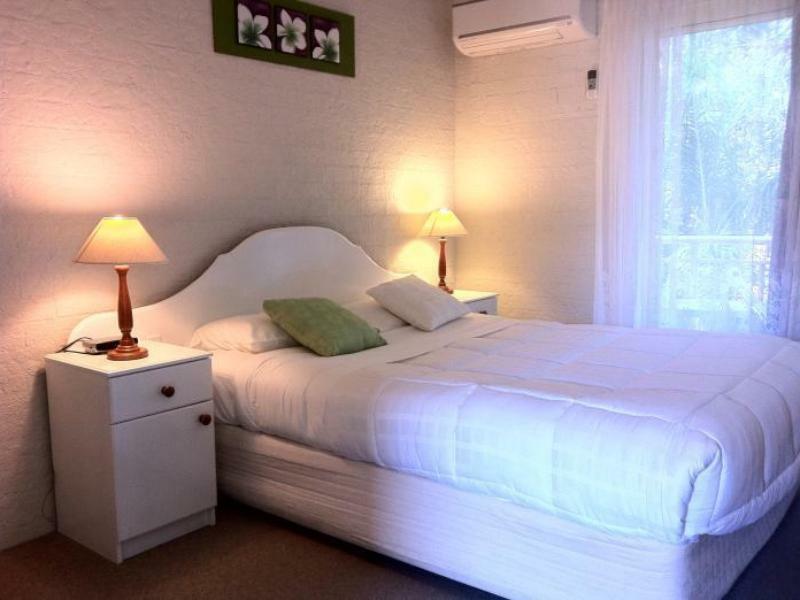 Clean rooms with comfy bed which is always important. Definitely recommend this motel. Room size and location were great. The room was clean and the parking is right outside your door. I would recommend staying at the Mollymook Paradise Haven Motel. The only issue we faced was that the lady on reception told us the wrong room, by saying upstairs (not downstairs) and we tried opening someone elses! When checking with her why it wouldn't open, she didn't apologise before telling us we had it wrong which was a little unfriendly, after her already not so friendly welcome upon arriving. The room was large and tidy and had a kitchenette and TV. We only stayed 1 night. The area that night was very quiet yet the proximity to Ulladulla main town is great! Our stay was fine. Not really a good look when after you have checked in and walking to your room you can hear and understand the owners/managers yelling in another language. But other than that it was fine. Quiet surroundings, easy check-in/out, car park. No redeeming features were found at this facility. Bathroom in urgent need of attention drainage problrms . Overall rooms require renovation & updating. Disappointing due to points listed above. Would not recommend as place to stay better options are available. Comfortable bed, quiet and relaxing, sheltered from sea breeze and far enough away from pounding surf, yet only walking distance away. close location to the beach but no view but good value. room has a small but functional balcony. good size room with self catering fully equipped kitchen. two levels so if you have difficulty walking stairs ask for ground floor location. quiet and functional and value for money.